Have You Nominated a Book or Book App for the CYBILS? Better Hurry! 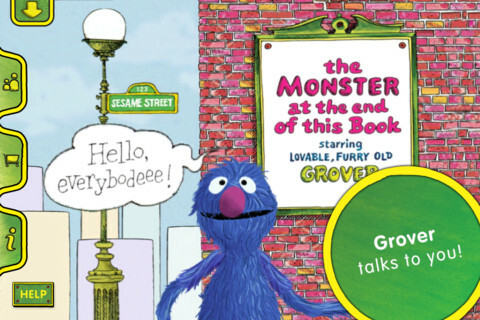 Screenshot of last year’s CYBILs Book App winner: The Monster at the End of this Book . For the seventh year running, the CYBILs — the Children’s and Young Adult Bloggers’ Literary Awards — will recognize the best kids’ and YA books of the past year. Nominations are open to the public through October 15, so you have just a few days left to throw your favorite books and apps into the ring. Findability is a huge problem when it comes to book apps. What are the most recent apps published? What will appeal to my children? I’m one of the Round 2 judges in Book Apps this year. The Round 1 panelists will narrow your nominations down to a shortlist, and the Round 2 team will select a winner from those. I can’t wait to see what you come up with!